African Daisy Mix Dimorphotheca Sinuata is an annual that comes from South Africa, and the plant has been naturalized throughout the United States. Commonly called Cape Marigold this flowering annual produces large blooms in brilliant shades of white, yellow, and orange. 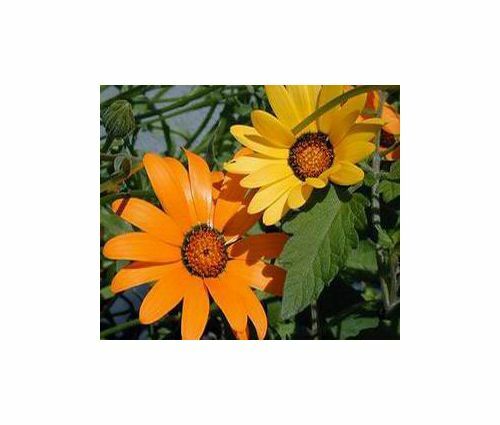 African Daisy is very easy to grow from seeds, and this excellent variety will produce extravagant colors for weeks. African Daisy is great for roadsides, floral gardens, arid regions, mixtures, open fields and rock gardens. Dimorphotheca Sinuata seeds germinate quickly, and African Daisy likes full sun and hot, dry weather that is similar to its natural habitat. 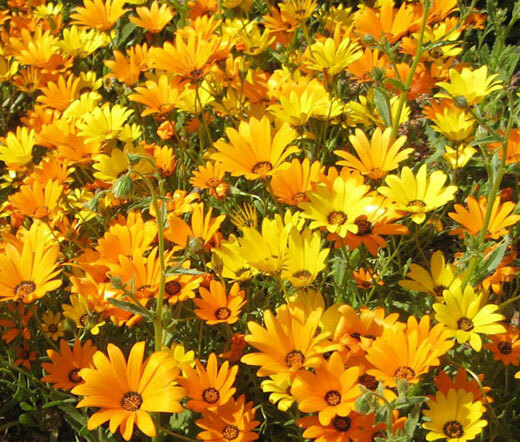 Cape Marigold is very drought tolerant, and this plant can tolerate some cool humid climate. 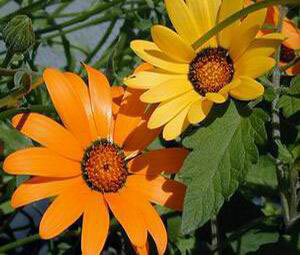 African Daisy can be a good winter annual to plant in zones 10-13 and a good spring/summer annual in zones 8-10. Cape Marigold dies at frost, but it re-seeds itself if the seed falls on bare ground and will re-grow following spring.